If you have not yet started GST migration process, you should do it now. The government has finalized roll out of GST from 1st July, 2017. 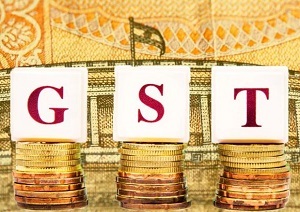 GST Migration is a first step you should take as a business owner now. GST is about to replace all other taxes like service tax, sales tax, central excise etc. If you are existing PAN based Service Tax (ST) and Central Excise (CE) assesse you have to enroll and get provisional ID and password to complete GST migration process. In this post, I will explain step by step procedure of GST Migration. GST migration means enrolment of existing indirect tax assesse (VAT, Service tax, central excise) to single tax regime GST via GST portal. 2) On login you will see link saying Click Here to view your Provisional ID and Password to access GSTN Common portal. 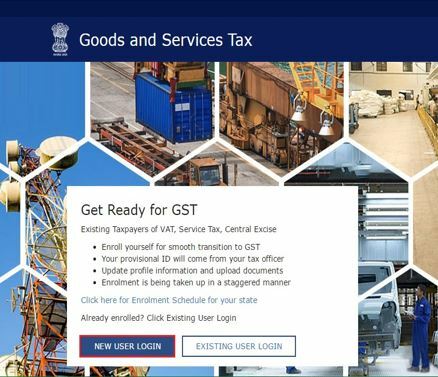 3) You can login to GST portal www.gst.gov.in and click on New user Login. Enter your provisional ID, password captcha code and login. 4) Enter e-mail ID and mobile number to receive OTP (One Time Password). Also Read –What is GST input tax credit? How to claim it? The mandatory documents required for GST registration are registration certificate, photograph, address proof and bank account statement. 9) This will fetch you your Application Reference Number (ARN). 10) You will get provisional GSTIN on appointed date. Does GST is applicable to me? GST is applicable to a business owner in the following cases. If your turnover in a financial year exceeds Rs.20 Lakhs. If you supply goods are services within state or inter-state. You are an agent or similar person who act on behalf of other registered taxable person. A person who supplies via e-commerce operator. Distributor or input service distributors. Aggregator supplying services under the brand name. GST is applicable to all businesses like trade, commerce, manufacturing, a supply of goods/services, profession or any other similar activity irrespective of volume and frequency. GST is not applicable if you are involved in agriculture based activities like horticulture, sericulture, raising of crops, grass or garden produce. Hope information given above will help you in GST migration.